ahhhh....a fresh breath of spring. Join Melissa at the Inspired Room this week to share what you are most looking forward to for spring! Love you quick spring transformation! We still have two feet of snow, so you brightened my day! I love your spring things!! How cute!! Those candles are so cute! I am going to start getting out my spring stuff this week too! In my book there is nothing a little cream/white paint doesn't fix ;) You did a beautiful job! Happy Spring! I love those eggs! and you sure can't beat Target clearance -that's one of my favorite things! So cute, Melissa! I think I'm going to get my spring stuff today - you have inspired me, and it's supposed to be in the 60's. Wahoo! You are like the spray painting queen! 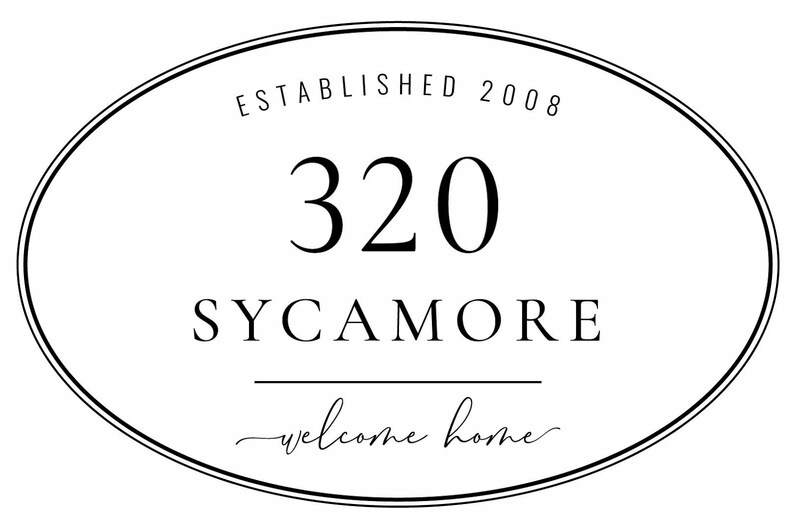 I love the new look! I love the fresh white you painted these! They turned out great! 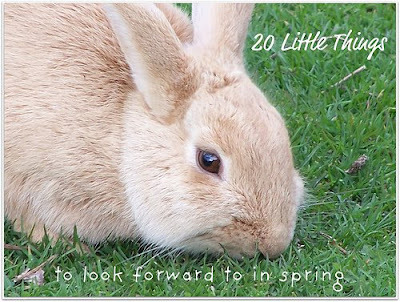 All of your bits of spring are so delightful. Love everything painted a crisp white. 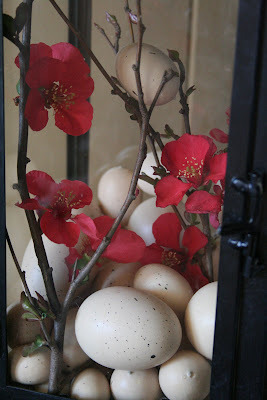 The lantern filled with speckled eggs and quince is wonderful too. Oh how I love those little eggs! I haven't been to TJMaxx this week but will look for those for sure. Did you get them this year? 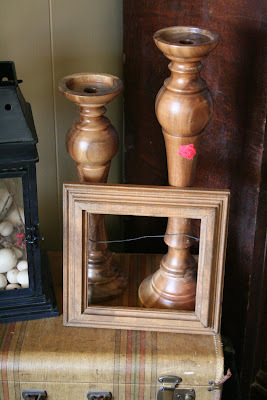 I love the candlesticks as well and the way that you hung the little picture....too cute. Gotta love clearance stickers! 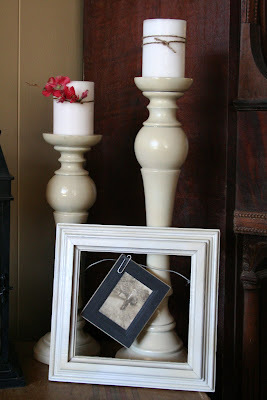 Love the paint job on these items and the added touches which were also thrifty finds. Just beautiful, can't wait to see the rest. I like the clip a photo idea in the frame too. 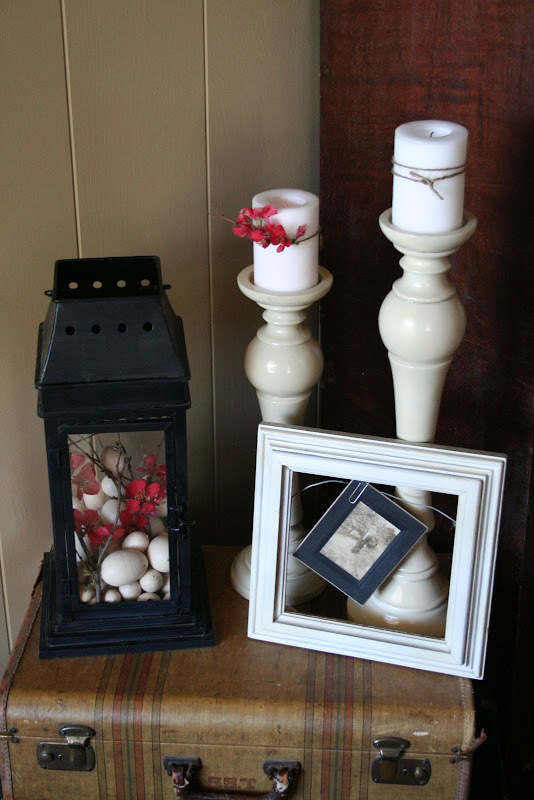 It is just awesome to see what a little white paint can do! Don't you love spray paint? It is a miracle worker...probably created by a woman! Great post! LOVE IT! Gotta love those clearance items!!! the white spray paint made a huge difference! Ooo, I love how you transformed those items for spring! Hey, everyone! I haven't forgotten about you, I promise! 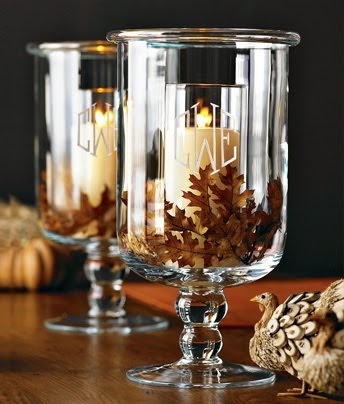 Robin~I did just get them at TJMaxx~hopefully you can find them at yours! 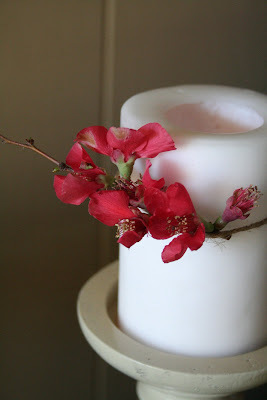 Love all your springy items...I am on my way to the thrift store and hope I find some good buys. Luv this! I have got to get me some of those eggs.